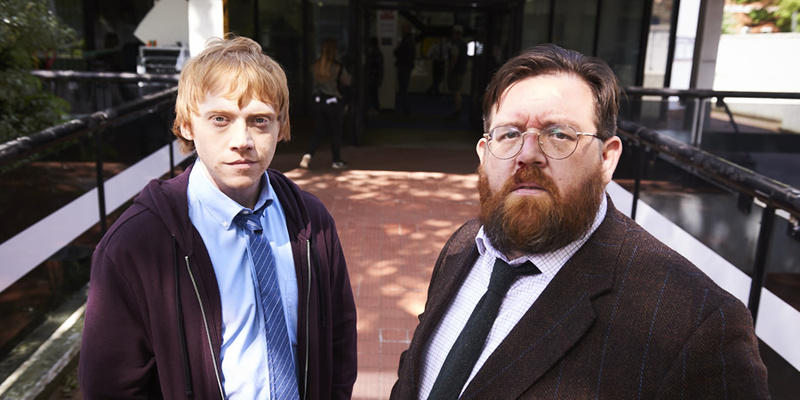 Sky Atlantic have announced their new comedy Sick Note will star Harry Potter actor Rupert Grint, Shaun of the Dead’s Nick Frost and Don Johnson of Miami Vice fame. The stellar cast and crew for this production bode well for the series. Sick Note will be directed by Little Britain’s Matt Lipsey and is being produced by British production company King Bert – founded by David Walliams, Miranda Hart and producer of Absolutely Fabulous, Jo Sargent. Grint will play Daniel Glass who is failing at life. A compulsive liar stuck in a doomed relationship and a dead end job. To make matters worse, his boss Kenny West (Don Johnson), has Glass completely under his thumb. Diagnosed with oesophageal cancer, it would seem to be rock bottom for Glass. However, he suddenly finds a new lust for life when people start treating him better. When Dr. Ian Glennis (Frost) discovers his diagnosis was wrong, Daniel has to decide whether to come clean, or embrace his new life with this terrible lie. The six-part comedy series will air on Sky Atlantic in early 2017.